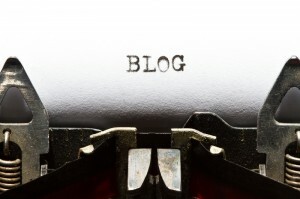 Today, I’m delighted to welcome Julie Harris to my blog. 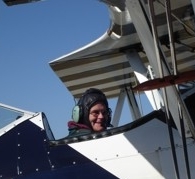 Julie is a prolific writer whose works include No Exit, The Longest Winter, Fool’s Gold, The Site, The Diamond Factory, Beyond Laughter, An Absence of Angels, Kizzy, The Edge of Nowhere, A Tear of Blood, One Act of Kindness and Anything for Love. Since 1992 she has been traditionally published in Australia, USA, UK, Germany and France, and won a major fiction prize when she was thirty-four. More recently, she has been semi-finalist, twice, in the Best Kindle Book competitions of 2012 with No Exit and in 2014 with The Longest Winter. 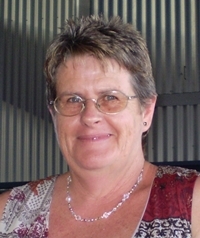 Julie’s writing is a mix of historical, paranormal, thriller, romantic suspense and human drama, and she has been compared to Harper Lee – one of her favourite authors – and Jack London. Julie lives in a small country town on the Darling Downs in Queensland, Australia with her husband, two big dogs, one cat, five goldfish, four chooks and six cockatiels. Q: Julie, please tell us how you came to be a writer. My journey of becoming a writer began in high school, thanks to a teacher who nourished creativity with the words, ‘You can do better’. And she was correct. I could, and I often did. Fast forward a handful of years and I wrote again, mainly to combat boredom. I was living in the Australian outback at the time, and it was the start of a lengthy fourteen-year apprenticeship. Q: If you were trying to describe your writing to someone who hasn’t read anything by you before, what would you say? How do I describe my writing… something for everyone? I call myself a storyteller. I don’t stick to any particular genre: I write whatever is next in the queue. A story is a story, whether it’s set in the past, future or present or written in first or third person. Q: What was your first recognition/success as an author? I won a rather large fiction prize twenty odd years ago—an experience I’d rather forget now. 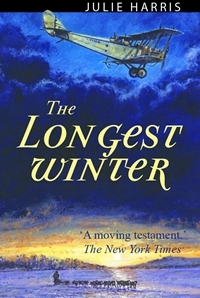 My third book, The Longest Winter (TLW), was first published in the USA in 1995. The American media called it my first… This is a story that is always mistakenly called non fiction, and it’s almost to the point of readers being disappointed when they discover it’s all a big porky. That’s what a piece of fiction is at heart: a whopping big lie. The better you tell it, the more it’s believed. Q: John Irving says that you can’t teach writing. You can only recognise what’s good and say ‘keep doing that.’ Do you think that’s true? Learning to recognize what’s ‘good’ is the elusive factor here. I can’t think of anything less subjective than good vs bad. Sometimes I doubt whether the story I’m working on will be any ‘good’ or not. How can a writer, musician or artist ever know? Individual tastes vary. How utterly horrible would be a world where everyone was the same. With my own work I normally gauge good or bad by how close the story keeps me. Can I finish this? Will it last the distance? Am I thinking of it when I’m driving? Do I wake knowing something’s not quite right? Does an unforeseen twist surprise me? Am I living it? Breathing it? For me it’s a journey into the unknown, and there I am, sitting under a waterfall of words as I transcribe the Technicolor 3D scratch and sniff movie playing in my head. I can only hope that if it keeps me interested, it will keep my reader interested, too. I’ve had a few reviews where readers have thought it was a true story when it was not; or I’ve been in trouble for making them read when they should have been sleeping, where they took a day off work just to finish it—things like that which encourage you to keep plugging on. You’ve reached someone, touched someone; taken them away from their lives for a little while, snared them in your web. Can it be taught? Aspects, yes. Plot, structure, basic editing… Perhaps it’s a gift, too, that requires patience, dedication and single-mindedness. And it helps to have a driving need to write, which is often something that non-creative people cannot comprehend. There is so much of my earlier writing that I’ve already offered to the fire gods—efforts that made me flinch and/or squirm thirty years on. When I was serving the apprenticeship, what poured out was utter rubbish. I see that now yet at the time I thought it was excellent. Needless to say my rejection file is as big as I am and there are good reasons for that, too. So much has changed since I first started out. Now it’s so very easy to upload a first draft without much effort in the hope of making lots of money. I’m a member of a couple of writers’ forums and I see it on a daily basis: I’ve just published my first ‘book’ (often no more than a short story) and it either hasn’t sold, or if it has, it’s been returned… Also there’s the current indie ideal of quantity over quality for the purpose of visibility and staying on the new releases list for those magical 30 days. Not for me. There’s no way I can pop out a ‘book’ per month because when I’m writing, if I was any slower I’d rust. I have the distinct advantage of many years of refining the art, and I worked in university publishing for sixteen years, so I can also edit, do conversions and format for print. Writing is a lot of hard work if you’re planning to do it well. I would never, in a pink fit, publish a first draft. I liken it to a skeleton that needs more layers to survive. By draft three or four, not including the final read through/proof, I’m somewhere near done and by then I’m so sick of the thing… My advice? Have fun with draft one. The rest is a slog. Don’t be in too much of a hurry and don’t be impatient. When you think it’s done, put it aside for a couple of weeks. I guarantee that when you come back to it, fresh, you’ll find things in there you never realised existed. I’ve been published by Arrow Books/Random House, St Martin’s Press, Pan Macmillan, Robert Hale, four separate German publishers, and Editions Belfond in France. From 1993 until 2008 I had a UK agent, and due to the translations, acquired a German sub-agent, too. My UK agent was always despairing because I would not write in one genre only, and because he hated everything I wrote that wasn’t a clone of The Longest Winter, I had get a ‘real’ job. So much for my aspirations and hard work. In 1996 I let it all slide and barely wrote another word for fifteen long years. It left a hole in my soul that nothing could fill. In 2011, I was able to retire from the university publishing job and return to my skull cave because the wonderful world of indie publishing beckoned. I rewrote the prize-winning psychic thriller that the publisher had annihilated in 1992. 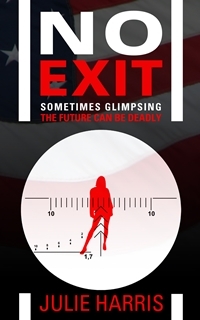 With a new title, No Exit, it was finally the book that should have won the prize, not the book that did. A lady in the USA got wind of it, and between us, we wrote the screenplay for this story about a psychic and a Navy SEAL. All the backstory of reincarnation and Scottish witch trials was dispensed with. I loved it so much I rewrote No Exit again based on the screenplay alone, and it was one of the first stories I indie published. It is still my best indie seller. (It was reviewed by a former SEAL, too, who emailed me and said the only gripe he had was that the hero’s choice of underwear was all wrong—SEALs don’t wear undies, apparently.) ‘Sometimes glimpsing the future can be deadly’. Sometimes dealing with agents and publishers is worse. I had written Beyond Laughter, a fictional biography about Marie Corelli, a Victorian author who outsold HG Wells in her time and was Queen Victoria’s favourite. My agent grudgingly tried to flog it but unfortunately it was never published because at that time, someone else had written a non fiction work about Corelli. Then there was A Tear of Blood, written as a hopeful follow up to The Site which was published by Pan Macmillan in Australia in 1996 under the pseudonym J. Radford Keir. I couldn’t use Julie Harris because TLW had come out in USA the year before. I got glowing reviews for that one, and in some I was called a ‘he’, but unfortunately The Site had a shelf life of two weeks. This is an Australian ghost story, my second best seller as an indie. The Edge of Nowhere was published in Germany and it is a story I was forced to write (should have called that one Tears of Blood). Kizzy is the story of a semi-psychotic traveller/gypsy teenage girl set in England in the mid 60s, inspired by an episode of Heartbeat. It’s a bit of a psychological thriller. An Absence of Angels was also published in Germany and is still selling there. This one is an historical epic set in France at the time of the Children’s Crusade. One Act of Kindness is about a lonely, embittered woman who finds herself on a train, and it takes most of the book for her to realise she’s actually dead. I cried at the end of that one because she had to die to find happiness. The Diamond Factory is a kid’s adventure first created in the late 1980s thanks to my daughter’s year 4 class ‘helping’ me write it as a ‘Project’. We had some fun with that one: who wouldn’t want a slug that could poo diamonds? My most recent is a novella, Anything for Love, about a downtrodden wife plotting to kill her abusive husband but someone beats her to it. About the only ‘genre’ I haven’t attempted is science fiction. Q: Since you’ve had experience of both traditional and indie publishing, can I ask, how do the two compare? Give me indie publishing any day! I have endured the hell of publishers annihilating a work, refusal to market, needing to acquire written permission to do a radio interview… covers where I thought the main character looked like a young Mel Gibson but the artist’s impression had him looking like my ex husband—who would pick up a book with a cover like that? Very few traditionally published authors have a say about the cover or the blurb. Only two of my four traditionally-published (English language) books ever made up their advances. With the exception of The Longest Winter, which has sold over 82,000 copies in Germany, I have over the past three years, sold more copies of my books than I ever had when a trad. I get paid monthly, too, not twice a year and I do not need to have a masters degree in accountancy to understand royalty breakdowns. I can see which books are selling on a daily basis now and I have full control over every aspect, too. And I’d still do it whether I sold or not. Q: Who designed your book covers? If you used a cover designer, what brief did you give them? Covers for my indie titles have been done by a friend who was a graphic designer at my old workplace (Beyond Laughter, Edge of Nowhere, The Site, A Tear of Blood). I created the current cover for Fool’s Gold. The English artist who painted the background for the UK edition of TLW gave me permission to use his artwork. 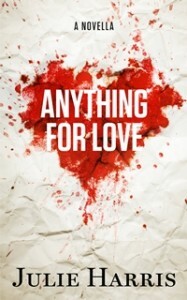 An Absence of Angels, One Act of Kindness and Anything for Love were pre-made covers by James at Go On Write. I bought the artwork for Kizzy from the artist and James did the typography. The cover art for The Diamond Factory was ‘payment’ for an editing job, and Keith Draws created the newest cover for No Exit. Apart from the Go On Write covers, all images were either from the artist or licensed stock photos. Q: If you discover a new author, do you tend to devour everything that they have written? Devour is a fine choice of word to use. M. Pax hooked me with her Backworlds series even though I never read science fiction/space opera; I wasn’t a fan of dystopian until I read Hugh Howey’s Wool series and that was because of curiosity—what was the fuss about? I soon found out and even my husband, who reads Sigmund Freud to relax (alarming, no?) was hooked by Hugh. I discovered Roz Morris after seeing a Facebook post about the audio version of her Memories of a Future Life and after reading the blurb, decided I’d try the ebook. Then I discovered LifeForm Three and she accepted me as a ‘friend’ on Facebook. Via her, I became friends with a very gifted author called Jane Davis and discovered, first, An Unchoreographed Life, which I devoured. I was so impressed with These Fragile Things that I reviewed it on Amazon. Am now absorbing I Stopped Time and I know that there are still more of her stories yet to come. There are a few indies I’ve read which I haven’t followed through with, and quite a few I haven’t had the intestinal fortitude to finish, but the same applies to some traditionally published works, too. Q: Where can readers find out more about you and your work? Now is an excellent time to discover Julie’s writing. No Exit will be discounted to 99 cents (US) from October 17-20 and, better still, her novella, Anything for Love, is FREE from October 17-19.